Sherlock needs some time off from the gory murders and murderers in Sherlock: To Scratch a Killer. What he likes to do in his spare time is come up with clever riddles to stump people. There’s nothing he enjoys more than the puzzled faces of strangers. But can you answer his fiendishly clever riddles? The answers are at the end of the blog, so no peeking! See if you can answer them all without any help! If you need a break from your working day, why not give our Game of the Month a spin? 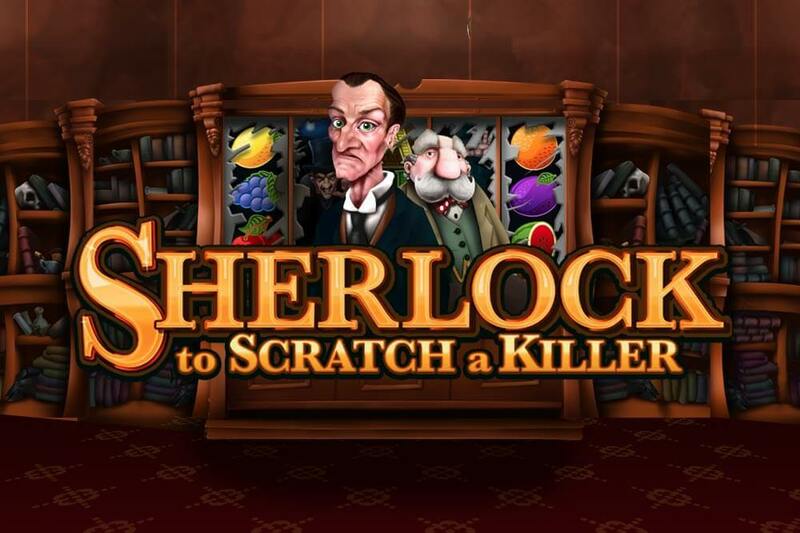 Sherlock: To Scratch a Killer features an awesome scratch card bonus mini-game that could see you win a huge bonus multiplier! It’s one of the most successful games PocketWin has ever made, so make sure you don’t miss out on the fun! Can you solve Sherlock’s riddles? Riddle 1: What falls when it’s born, lies when it’s alive, and runs when it’s dead? Riddle 2: I build bridges of silver and crowns of gold. Who am I? Riddle 3: I have two arms, but fingers none. I have two feet, but cannot run. I carry well, but I have found I carry best with my feet off the ground. What am I? Riddle 4: A one-seeded fruit I may be, but all of your calendars are full of me. What am I? Riddle 5: What is the first thing you see in an emergency but you only see it twice in a lifetime? Riddle 6: When I point up, it’s bright. When I point down, it’s dark. What am I? Riddle 7: What question can someone ask all day long, always get totally different answers, and yet all the answers could be correct? Riddle 8: What has 13 hearts but no organs? Riddle 9: I get smaller every time I take a bath. What am I? Riddle 10: Three men are on a boat. The boat sinks and the three men are dunked underwater, but only two get their hair wet. Why? Answers – DON’T PEEK UNTIL YOU HAVE YOUR ANSWERS! 8. A deck of cards. 9. A bar of soap. 10. One man is bald. Did you get them all correct? If you got 7/10 or more you’re almost as clever as him! If you weren’t lucky enough to get that many correct, then maybe your luck will change when you play Sherlock: To Scratch a Killer! The progressive Jackpot is still on the loose! Could you be the one to catch it?